"Our lives are different to anybody else's. That's the exciting thing, nobody in the universe can do what we're doing." 1967, Patrick Troughton's first full year as the Doctor begins with the end of an era. Episode 4 of 'The Highlanders' marks the end of the'pure' historical stories (at least for now) and it also seems like we're saying goodbye to the last vestiges of the Hartnell era. At the same time, though, a new era begins as Jamie, the companion most associated with the Second Doctor's era, jumps on board the TARDIS. 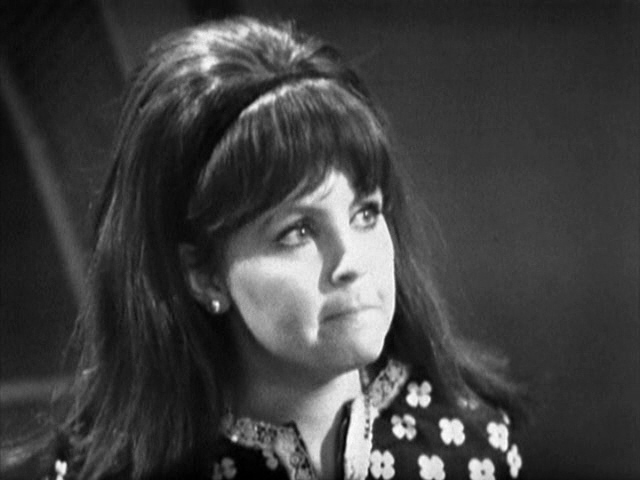 Jamie was never intended to become a regular member of the TARDIS crew for the next couple of stories he's left with relatively little to do and some of Ben's and Polly's dialogue was given to Jamie instead simply to give him something to say. 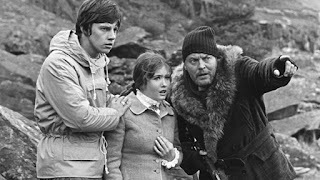 Nevertheless, this isn't too obvious in Jamie's first full adventure as a TARDIS crewmate, 'The Underwater Menace' - one of the series more infamous stories. 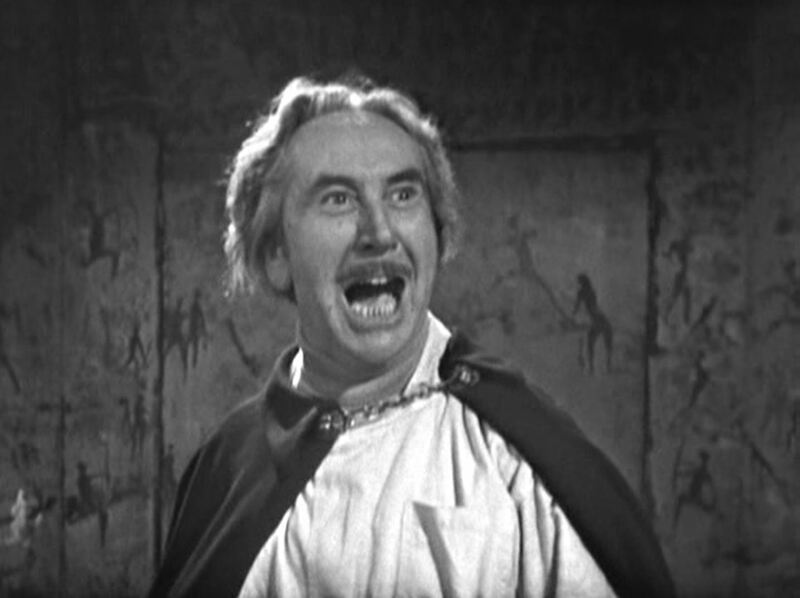 The chief cause of this infamy is the main villain of the story, Professor Zaroff. Zaroff (who really put the 'mad' into mad scientist) has re-discovered the lost city of Atlantis and plans to raise it from its watery grave. This all seems fine until it's revealed that doing so will cause an explosion which will destroy the Earth - which is Zaroff's plan all along. So he doesn't even want to rule the world, just blow it up presumably along with himself. Such an inane plan coupled with an over-the-top performance by actor Jospeh Furst (sample line: "Nuzzink in the ze vorld can stop me now!") turn the whole story into a bit of a joke. 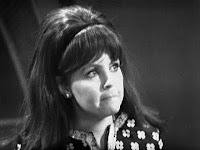 There's a return to normality of sorts with the next story, 'The Moonbase' an early example of the type of story that will become synonymous with the 2nd Doctor's era: the 'base under siege' story. The typical base under siege story generally involves the Doctor and his companions finding themselves in some remote location with a varied group of individuals who are based there. In charge of that group is gruff, no-nonsense authority figure who, more often than not, will turn out to be quite a nice chap underneath all the bluster. Some alien menace or other will be attacking this group, having cut them off from all outside help and it's down to the Doctor to save the day. 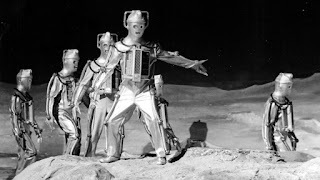 In the case of 'The Moonbase', it's a group of weathermen based on the Moon that the Doctor and his companions meet; the gruff, no-nonsense Mr Hobson who's in charge and the Cybermen that are attempting to take over. 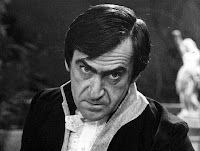 Jamie is sidelined for much of 'The Moonbase', again because of his last-minute addition to the cast, but he's given more of an opportunity to shine in 'The Macra Terror'. This is slight variation on the base under siege story, being more of a 'holiday camp under siege'. Well, admittedly it's supposed to be more of a futuristic, Utopian colony than a holiday camp but the setting definitely has a Butlins feel to it. The other difference here is that, while in most cases the monsters are trying to get in, here the monsters are already firmly in place and have taken over. 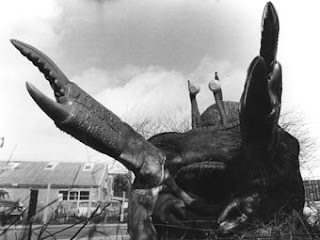 The crab-like Macra are the ones in charge and they put Ben under their power thereby making him both a bad guy and no longer a Cockney. Ben's temporary turn to dark side allows Jamie to take his place as the Doctor's primary male companion. 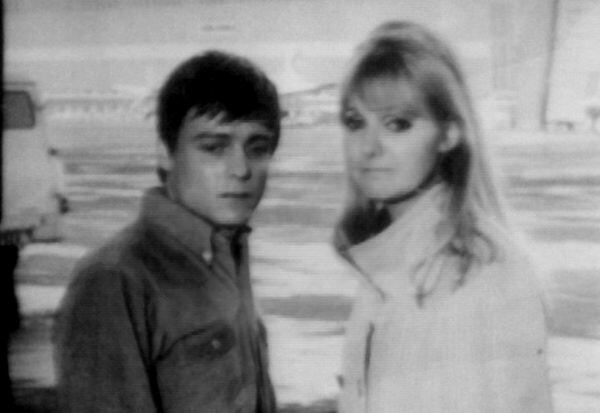 One suspects that sidelining Ben, and to a lesser extent Polly, in this story was probably deliberate as the decision had already been made behind the scenes to write both characters out. Like Dodo the previous year, Ben and Polly could hardly be said to be have been given a great send-off. That said, their final story, 'The Faceless Ones', is far from bad. It's just that, as with Dodo in her swan-song, Ben and Polly are side-lined half-way through the story and don't appear again until the final scene. The story is another return to contemporary Earth, the very same day in fact on which Ben and Polly left in 'The War Machines', thereby giving them the perfect excuse to return home. Much of the story is set in and filmed at Gatwick Airport which enhances the production considerably. This story is also notable for the appearance of future BAFTA Award winner Pauline Collins as a sort of stand-in companion, Samantha Briggs. With Ben and Polly absent, Samantha teams up Jamie and the Doctor to find out what has happened to her missing brother. Intelligent, spunky and resourceful, Sam is every bit the typical Doctor Who companion. Apparently Pauline Collins was even asked if she would stay on after this story but she declined. So Samantha Briggs was destined to be a one-off character. Fortunately though there was someone waiting in the wings (quite literally as it turns out), to become the next Doctor Who girl. 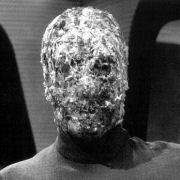 The climax of 'The Faceless Ones' leads directly into the final story of Season 4, 'The Evil of the Daleks'. After bidding a fond farewell to Ben and Polly, the Doctor and Jamie discover that the TARDIS has been stolen. Their search leads them first to an antiques shop then on a trip through time to a Victorian mansion in 1866 before ending on the Daleks' home world of Skaro. 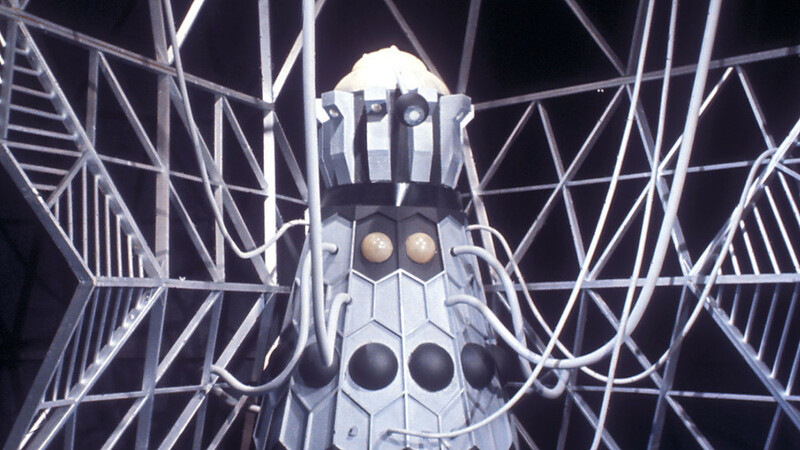 'Evil of the Daleks' was intended as the last ever appearance of the Daleks in Doctor Who as Terry Nation had plans to take them to America and give them their own series. To that end, it was entirely appropriate that the Doctor's supposedly final battle with them should take place where it all began, on the Daleks' home planet. It's here where the Doctor first comes face to face with the Dalek Emperor, a character who had previously appeared in the TV21 comic strip (albeit looking very different) but never on screen. It's also here that the Doctor causes a Dalek civil war to break out, causing 'the final end' of the Daleks, or so he hopes. Before travelling to Skaro, however, the Doctor and Jamie meet Victoria Waterfield, who is held prisoner by the Daleks in one of the wings of the Victorian house that Jamie and the Doctor travel to 1866. Jamie overcomes a series of traps to rescue Victoria and then, when Victoria's father is murdered by the Daleks, the Doctor chooses to take care of her and offers her a place aboard the TARDIS. 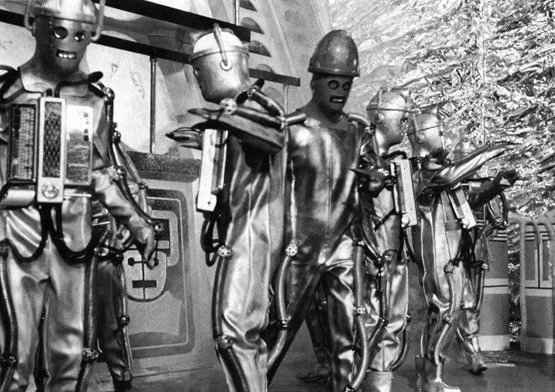 Season 4 had ended with the Daleks, two months later, Season 5 opened with their replacements as number one monsters - the Cybermen. 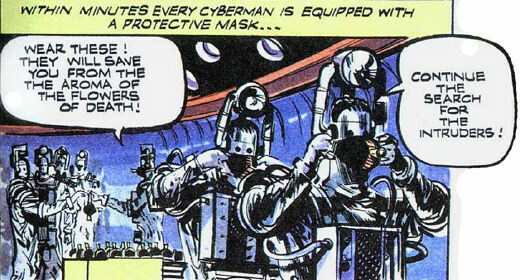 'Tomb of the Cybermen' is another base under siege tale. This time the group under siege is a group of futuristic archaeologists who are excavating the titular tomb. Unlike the earlier 'Moonbase' the Cybermen are trying to break out rather than break in. Some fans, including myself, are a little confused by the Doctor's thinking in this story. When he arrives, the tombs are sealed up and the archaeologists show little sign of being able to open them. 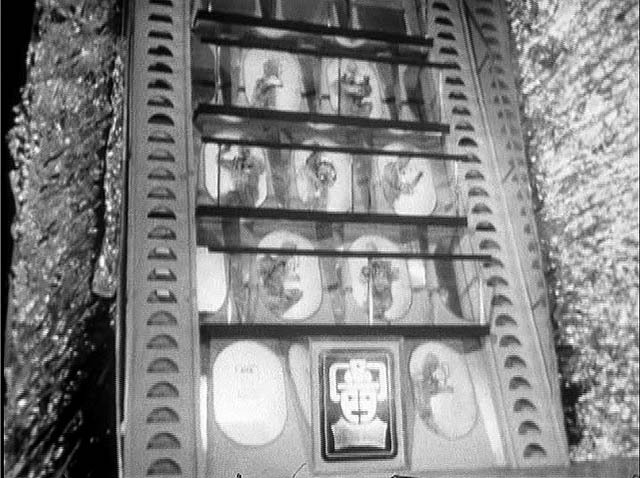 The Doctor not only manipulates them into opening the tombs, he also allows them to release the frozen Cybermen. Given the trouble that the Cybermen subsequently cause it would have been better for all concerned if he had simply left well alone. Next up for the TARDIS trio is 'The Abominable Snowmen', a story which has some extra significance given events of the 2012 Christmas Special. This is the first confrontation (from the Doctor's point of view at least) with the Great Intelligence. Of course, the Intelligence's origin (and the Doctor's hand in it) weren't even being considerably the production team or the writers back in 1967. The only explanation given for the Intelligence was that it was a formless being that lived on the astral plane and wanted to break back into the real world. However, thanks to events in the 2012 Christmas Special, 'The Abominable Snowmen' is now the first example of the actions of a future Doctor (the Eleventh in this case) having a direct effect on one of his earlier incarnations. As we head towards the end of 1967, there's a definite wintry theme to the stories. 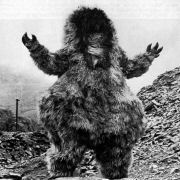 After leaving Tibet, the TARDIS travels to the 30th Century and an Earth gripped by the Second Ice Age. This is cautionary tale of how humans shouldn't allow themselves to be controlled by their computers and the perils of an over-reliance on technology in general. It also includes guest turns by two actors better known for their comedy roles: Bernard 'Carry On' Bresslaw and Peter 'Wallace and Gromit' Sallis. It also introduced the Ice Warriors to the series. Appropriately, the story is titled 'The Ice Warriors'. Interestingly, I don't recall the warriors ever referring to themselves as such during this story. Strictly speaking they're Martians but 'Ice Warriors' sounds more exciting. Very little to mention for 1967. According to 'The TARDIS Library' website (which I've found incredibly useful when it comes to researching these articles) the only audio release in 1967 was a recording called 'Fugue for Thought' by Bill McGuffie. This is basically a version of the music used in the opening and closing scenes of 'Daleks:Invasion Earth 2150 AD'. Although only loosely connected with Doctor Who, it's a really nice piece of music and well worth tracking down. After last year's bumper crop of books, 1967 seems to have been a very quiet year indeed. The only book of note is the latest Doctor Who Annual from World Distributors with its usual short stories and features. As you can probably tell I don't own the book so I can't say much more than that. Although it's probably the first book to be published that has the Second Doctor on the cover. The TV21 Dalek strip ended in early January 1967, as detailed in my previous post. With that strip's demise the rights to use the Daleks must have been available again as they were immediately snapped up by TV Comic and made their debut in the Doctor Who comic strip on 21 January 1967. To celebrate the Daleks' arrival, the title of the strip was changed from 'Doctor Who' to 'Doctor Who and the Daleks'. The strip was also given a third page for the first time with that extra page appearing on the cover of the comic. Clearly someone thought that the Daleks would be a bring draw for readers. Incidentally, it's worth noting that the strip's title included the Daleks even in the weeks when the Daleks didn't appear in the strip itself. I suspect that may have confused certain readers. The first Dalek strip also included that other great enemy of the Doctor's (in the comics at least) the Trods. This time however, the Daleks proved to be too much for even the mighty Trods and the Doctor ended up teaming up with the robots to see off the menace of the Daleks. 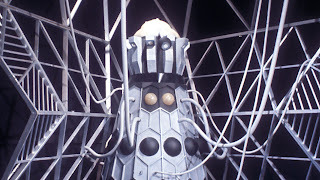 The Daleks appeared in the next strip story as well before taking a short break and then returning in May 1967 for their final appearance in a story entitled 'The Exterminator'. With the Daleks leaving the strip (and the TV series shortly thereafter) there were a few changes to the strip. The strip was re-titled simply 'Doctor Who', it lost it's front cover billing and went back to just 2 pages each week. Fortunately, the Cybermen arrived in the strip in September and, just as they did on TV, replaced the Daleks as top monster. 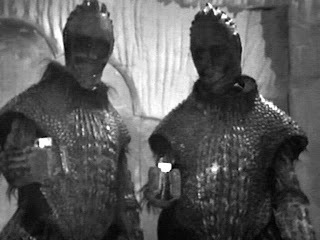 For some reason, however, in both of their appearances in 1967, they resembled how they appeared in 'The Tenth Planet, rather than their more metallic, streamlined look from 'The Moonbase' and 'Tomb of the Cybermen'. It's also worth pointing out that the strip, never usually known for it's spot-on characterisation of the Doctor at the best of times, well and truly dropped the ball with 'Master of Spiders', printed in April 1967. In this story, the Doctor constructs a ray gun which he then uses on a giant spider, uttering the immortal and very un-Doctorish line: "Die hideous creature! Die!"